This article is intended to allow you to use an Internet connection (e.g making use of the PPP protocol) through the routing of IP packets by the machine connected to the Internet. To configure our gateway, you must first know the version of the core: 2.0, 2.1 or 2.2, 2.3 or 2.4. The tools being are different. Which means that everything having as source the 192.168..0 network is routed directly to the Internet. For the Linux kernel 2.1 and 2.2, the procedure is almost identical, simply change ipfwadm by ipchains. Under the Linux kernel 2.3 and 2.4 the procedure is almost identical, simply change ipfwadm by iptables. Orginal document published by Rémy Pouchain on CommentcaMarche.net. Published by jak58. Latest update on June 25, 2013 at 08:26 AM by deri58. 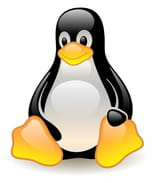 This document, titled "Linux- Routing through a PPP Link," is available under the Creative Commons license. Any copy, reuse, or modification of the content should be sufficiently credited to CCM (https://ccm.net/).